To enable the seamless planning, procurement and installation of medical equipment, The Innova Group provided the VA with living equipment documentation suitable for use by the architects and engineers, as well as the VA National Activations Office, to plan and manage medical equipment. The Innova Group provided medical equipment planning services on the 104-bed Robley Rex Veterans Affairs (VA) Medical Center with a size of 903,000 square feet and an Estimated Contract Cost at Award (ECCA) of $693M. This project provided The Innova Group the opportunity to pioneer the use of SEPS (Space and Equipment Planning System) to house all medical equipment planning information. Using SEPS, instead of other traditional equipment planning software, allowed seamless migration between equipment planning and building design to the preferred VA tool for equipment management and procurement. To assure ease of understanding the medical equipment requirements, The Innova Group created a crosswalk to facilitate running custom reports geared to each stakeholder. Using SEPS allowed space and equipment data to feed directly into the architects and engineers’ BIM programs and to be imported into the VA National Activation Office’s preferred equipment procurement program, Attainia. The Innova Group’s planning provides the client and activation team with a complete and useable equipment list in Excel and SEPS format, coordinated to the A/E drawings. 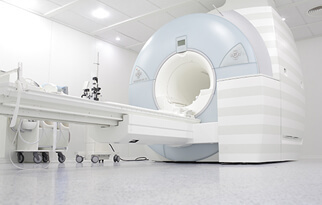 The equipment list can be sorted by JSN, Nomenclature, Acquisition/Installation responsibility or Location to assist the Activations Team in the management, procurement, installation, and coordination of required medical equipment for the project. The final equipment list in SEPS can be imported into Attainia for use by the National Activations Office during construction and activation of the new facility.